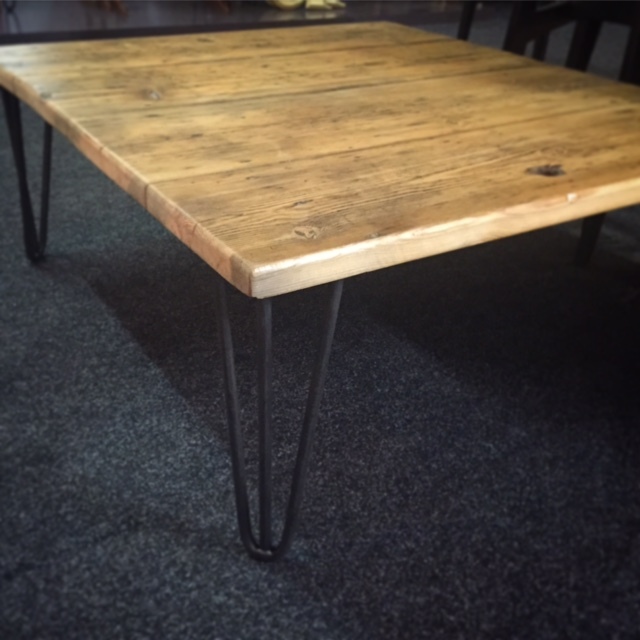 We’re very proud of our gorgeous new By ReFound range of reclaimed wood furniture. 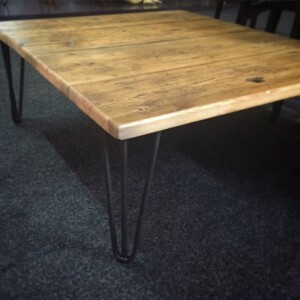 We’ve been working with local artisans to produce a range of beautiful tables and desks featuring hand crafted hairpin and industrial steel legs. 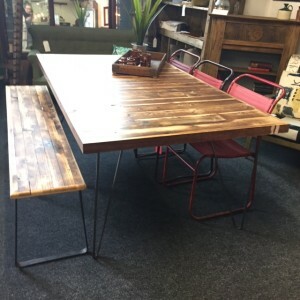 This stunning table and bench was snapped up after only two days on display in our shop. We love the satisfyingly substantial box design top and our superstar original Eames office chair compliments it beautifully. We still have some amazing pieces available, and more we’re busy designing more. 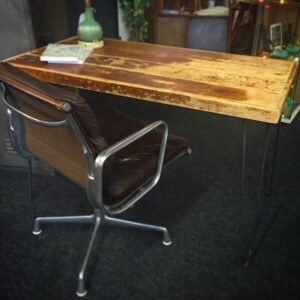 Watch this space for designs featuring copper tipped legs, and for some gorgeous storage furniture using reclaimed wood and vintage Harland & Woolf wooden filing boxes!! We are also really excited to be working with customers on bespoke table and bench designs, with a choice of legs and dimensions, and we still have plenty of time to work with you on your own design to be ready before Christmas!